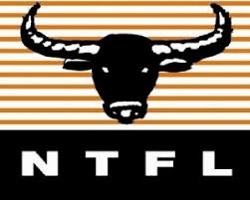 Round 12 was played in the NTFL last weekend, the first round back after the Christmas/New Year break. Whilst fans were delighted to see the footy back again, the round has seen a tightening of ladder positions with top spot, top five and wooden spoon well and truly undecided and set for big finishes from all clubs over the remaining six rounds. The Southern Districts Crocs are locked in a battle with the Nightcliff Tigers for top spot, both teams on ten wins. In third place, four games behind the leaders, the Darwin Buffaloes sit level with Waratah. Just outside the five on five wins are Palmerston, followed by the Tiwi Bombers on four wins and Wanderers on three. On Saturday, the Tigers downed the Buffaloes by 14 points. The teams kept up a tight match to three-quarter time, with the final quarter set for one of the other side to break the game open. However, neither team goaled in the last quarter leaving the Tigers victors. Again, Wanderers remained competitive for the first half against Crocs, both teams with three goals at the main break. But an eleven goal to three second half – including a seven goal final quarter – saw the Crocs storm away to a big 56-point win. St Mary’s led waratah at every change in terms of scoring shots, but woeful kicking saw them well behind by the final break. Saints trailed by two goals at the final break, but can only blame themselves having kicked three goals and thirteen behinds. In the final term, Waratah took advantage of the situation with a strong five goal term to win by 30 points. Sunday’s match saw the Tiwi Bombers back on the winner’s list at the expense of the Palmerston Magpies. The Bombers led all day, though they had to withstand a Palmerston revival late in the game. However, the Bombers were too good in the end, winning the match by 32 points and keeping their slim finals hopes alive. Next round will see Wanderers take on the Tiwi Bombers. The winner will improve their finals dreams, whilst a loss will be almost a fatal blow. St Mary’s will take on the in-form Tigers whilst first plays third when the Crocs meet the Buffaloes. Sunday will see the Palmerston Magpies hosting Waratah in a vital match for both teams.